Follow-up Story: San Gabriel Unified School District administrators, teachers and staff jumpstarted the 2017-18 year with its annual Back to School Breakfast and Professional Development Day on Aug. 17. SGUSD administrators shared the District’s vision for the year, introduced new hires and honored 62 staff members for milestones ranging from 10 to 30 years of service. 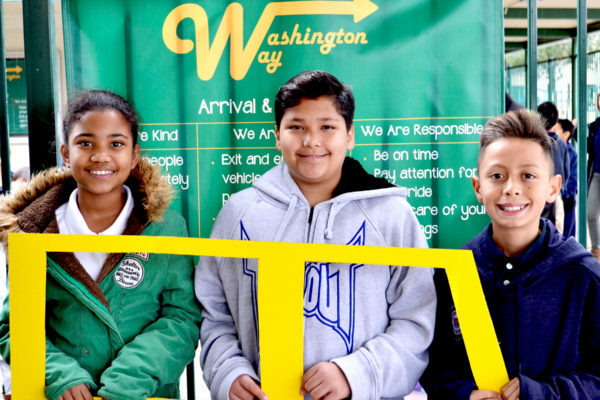 Follow-up Story: Jefferson Middle School’s 389 incoming sixth-graders received a warm welcome at their new school on Aug. 11 as part of the Where Everybody Belongs program, which transforms eighth-graders into mentors for incoming middle school students. 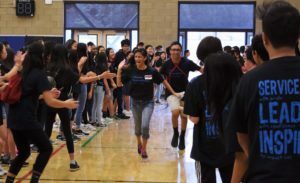 The program aims to provide sixth-graders with a sense of support and school pride while teaching eighth-graders about leadership. 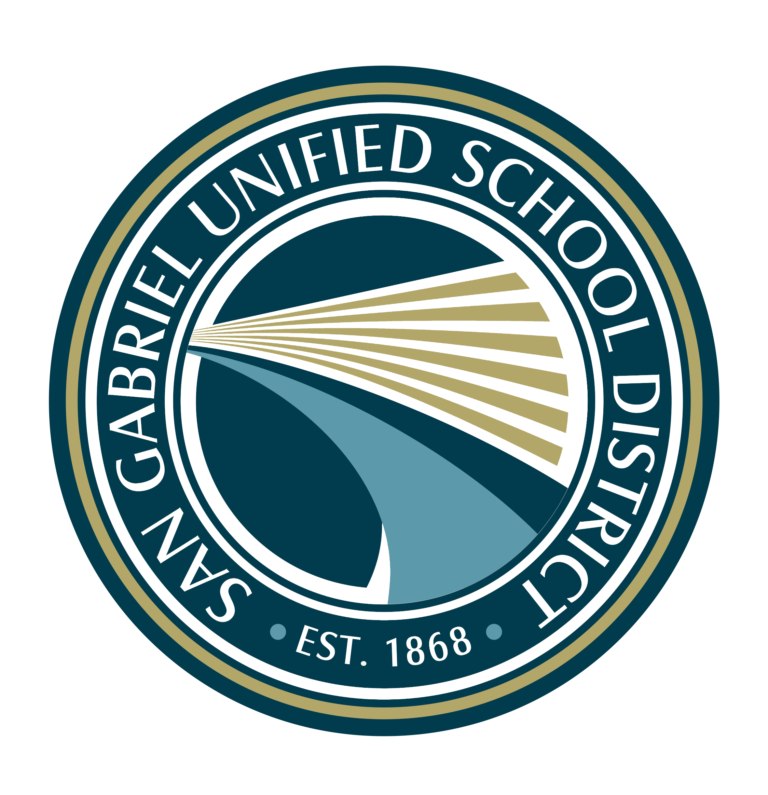 San Gabriel Unified School District will welcome families at a series of Parent Info Nights across the District, providing educators a chance to connect with parents and showcase latest programs and curriculum for the 2017-18 year. Events will run from Thursday, Aug. 24 to Tuesday, Sept. 19. Coolidge Elementary School will kick off the 2017-18 year with a solar eclipse observance from 8:30 to 11:45 a.m. Monday, Aug. 21, hosted by San Gabriel Unified parent and astronomer Donald W. Hoard. 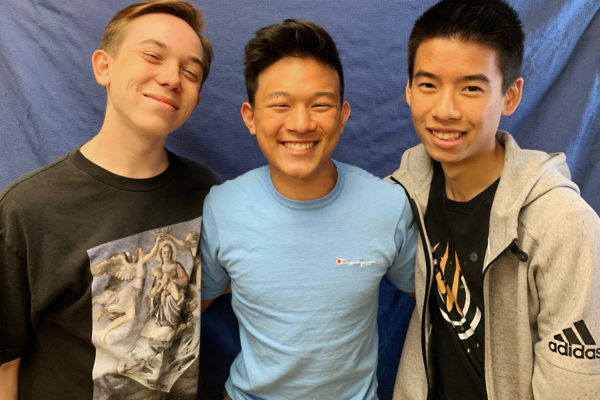 Hoard will discuss his work with NASA and careers in astronomy. Students will learn what causes an eclipse, what to look for when one occurs and how to view the eclipse safely. Coolidge Elementary is at 421 N. Mission Drive, San Gabriel. McKinley Elementary school is expanding its coding and robotics lessons to all students for the 2017-18 school year. McKinley’s robotics and coding lessons were previously offered to only fourth and fifth-graders and will now be available to kindergarten through third-grade students when school begins Monday, August 21. 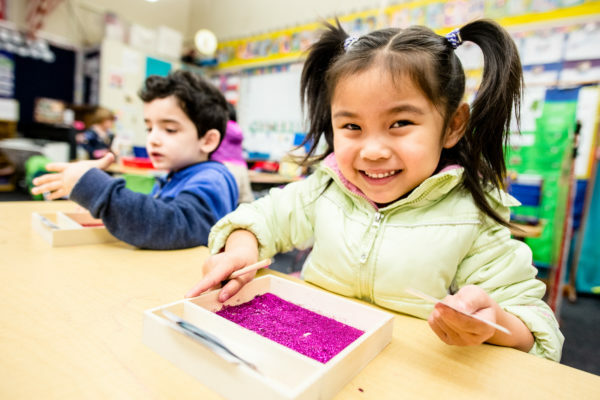 San Gabriel Unified School District will welcome families at a series of Parent Info Nights across the District, providing educators a chance to connect with parents and showcase new programs and curriculum for the 2017-18 year. Events will run from Thursday, Aug. 24 to Tuesday, Sept. 19. San Gabriel Unified School District will fufill its initiative to offer a 1:1 student-device ratio for all grade levels at the start of the 2017-18 school year. The plan to provide individual technology for all students is outlined in the 2017-20 Local Control and Accountability Plan, which guides District efforts to improve student achievement by setting annual priorities and strategies to achieve those goals. 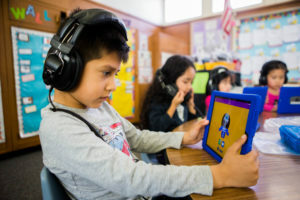 Follow-up Story: McKinley Elementary will expand its flagship Spanish dual-language program to offer third-grade instruction for the first time in 2017-18, providing both native English speakers and English learners the opportunity to develop biliteracy and bilingualism through standards-based curriculum. Launched in 2014, McKinley’s program is comprised of kindergarten through third-grade classes and is slated for schoolwide implementation by 2019-20. San Gabriel Unified School District is offering free lunches and snacks to children ages 18 and under on Mondays through Fridays this summer. Lunch is served from 11:30 a.m. to 12:30 p.m. through Friday, Aug. 4 at Smith Park, 232 W. Broadway Ave., San Gabriel; Vincent Lugo Park, 400 Prospect Ave., San Gabriel; and from noon to 12:45 p.m. at Roosevelt Elementary, 401 S. Walnut Grove Ave., San Gabriel. Lunch is available from 11:30 a.m. to 12:30 p.m. through Friday, Aug. 11 at Rosemead Park, 4343 Encinita Ave., Rosemead, and Garvey Park, 3233 Kelburn Ave., Rosemead. Garvey Park will provide a snack from 2 to 3:30 p.m. Call 626-451-4500 for more times and sites.